THE PLAYLISTS - lose yourself in the archives! - Browse through 's Chill Out playlists! - watch the show's INTROS & PROMOS! 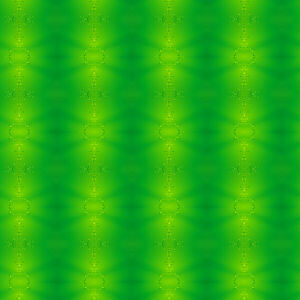 - watch loads of cool vids online! 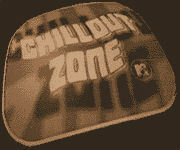 - check out the Chill Out Zone SCREENSHOTS! - must-have tracks for your music collection! For further info, comments, suggestions, etc. : get in touch! This is a tribute to the most insanely uncompromising music program to have ever graced the airwaves of Music Television worldwide. A long-standing bastion of contagious creativity, delightful unpredictability and unconstrained individuality, even when free thinking became more of a hindrance than a benefit. 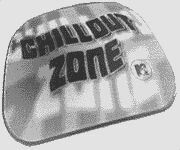 CHILL OUT ZONE was a weekly program focusing on the finest electronic/alternative music around, showcasing a healthy dose of unusual, challenging yet highly enjoyable tunes. It could be weird and fun, relaxing and danceable, electronic, electric, acoustic, instrumental, cool or just horribly wonderful. It first appeared on MTV Europe in 1993, connecting a generation of insomniac music enthusiasts across the continent for many years to follow. CHILL OUT ZONE provided the perfect soundtrack for all those just in from a heavy night out. Every weekend in the early morning hours, MTV would take its viewers on an exciting journey through the realms of audio/visual experimentation. Top-notch ambient house, trip hop, drum & bass, downtempo, psychedelic trance, laid-back techno, avantgarde, shoegaze, dub, minimal, acid jazz, lounge, post-modern indie and leftfield electronic tracks were accompanied by the best in both classic and cutting-edge animation. Music selections were consistently adventurous, deliberately uncompromising and unquestionably extravagant - viewers could expect music videos from stoned Scottish, wasted Welsh, pretentious Poles, deranged Dutch and intoxicated Italian producers, to name but a few.